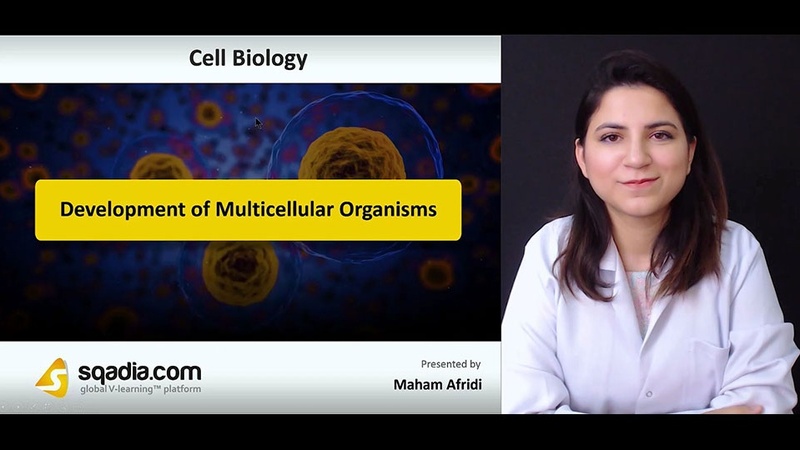 This lecture brings under consideration the Development of Multicellular Organisms. In section one of this lecture, the educator gives an Overview of Animal Development. First of all, an elaborate discussion on The Zygote is carried out. Afterwards, the educator reports Fundamental Processes of Animal Development and demonstrates how the whole process of Development occurs. In addition to this, the Overview of Development is pursued thoroughly. Section two covers the topic of Conserved Mechanisms. In this section, light is shed on the Conserved Mechanisms for Basic Animal Body Plan and then the Three Germ Layers of Early Embryo are discussed. Following this, the educator highlights Restricted Developmental Potential of Cells after which the elucidation of Cell Memory Underlying Cell Decision-Making is carried out. Apart from this, the Model Organisms for Understanding Development are also highlighted. In section three, the Genes for Animal Development are addressed. The educator points out and explains the Genes Important for Animal Development at first. Later, information is given regarding Regulatory DNA: Differences b/w Animal Species and Spatial Patterning. The educator then concludes this section after extensively demonstrating Combinatorial Control and Cell Memory. Section four is about Signal Molecules. The educator puts forward a detailed overview of Signal Molecules and then primarily focuses on Morphogens. Subsequently, the topic of Exploiting Asymmetry is highlighted after which the Lateral Inhibition Generate Patterns of Cell Types is discussed. In section five, the topic under consideration is Diversity by Asymmetrical Cell Division. The educator firstly highlights Reaction-Diffusion Systems. Moving forward, light is shed on Asymmetric Cell Division Generate Diversity after which the educator focuses on Sequential Induction. Subsequently, an overview of Developmental Biology is presented in addition to a comprehensive elucidation of Developmental Biology: Disease & Tissue Maintenance.